First of all, go here and login with Facebook. 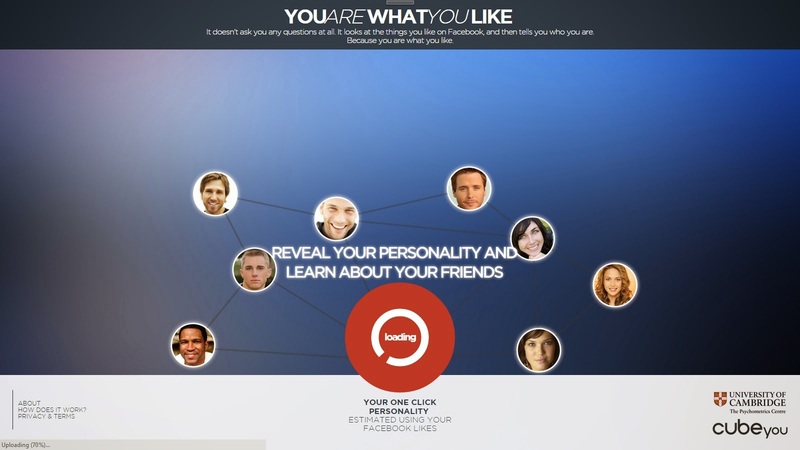 It will then generate a results based on your likes and tell you which friends are most like you and which friends are not. At the very end it will tell you your personality twins and your personality opposites. This was a surprising result for me! Some of the people I thought were a lot like me are complete opposites, according to this app! I don't want to give too much away, I want you to try the app! One of my results that I found to be very true was that I was outgoing and active, which I am. The result I did not agree with said I was emotional and stressed, when in fact I am usually calm and relaxed. But, it pretty much nailed the rest of the topics! So, tell me what did you agree or disagree with about your results? This is a sponsored post, but all opinions are 100% my own and may differ from yours.